As the interest in keys has begun to wane, we felt that it was time to dive into a new subject. Marie and I spent several days observing the students’ play but were unable to come up with any major themes that we could use for a study. So, we decided to just ask them, “What do you want to learn about next?”. 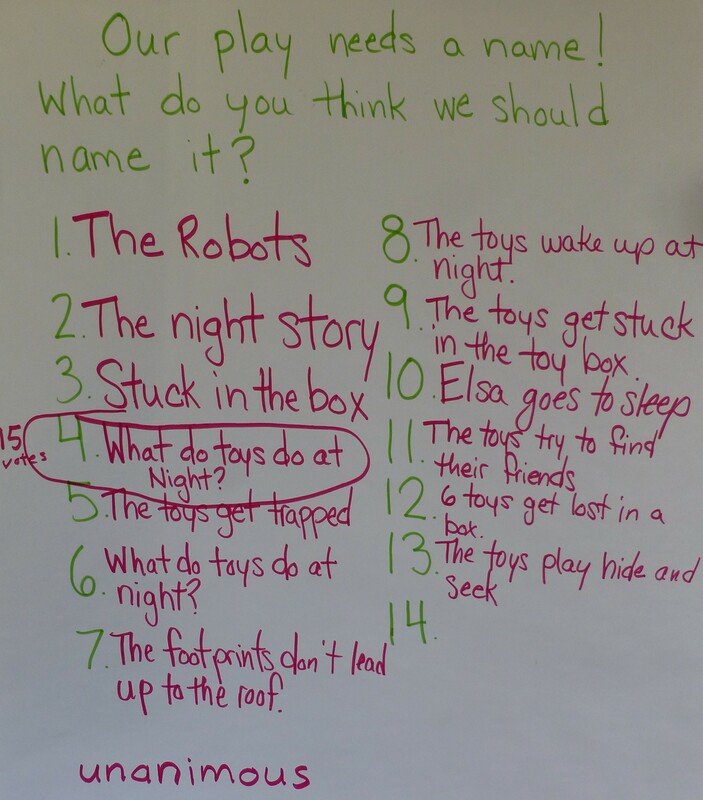 Each child came up with an idea for our morning message and then we took a vote. Then we took the subjects with the most tallies and voted again. This gives students a chance to narrow down their choices and focus on a smaller number of subjects. There were so many great ideas it was hard to choose just one! 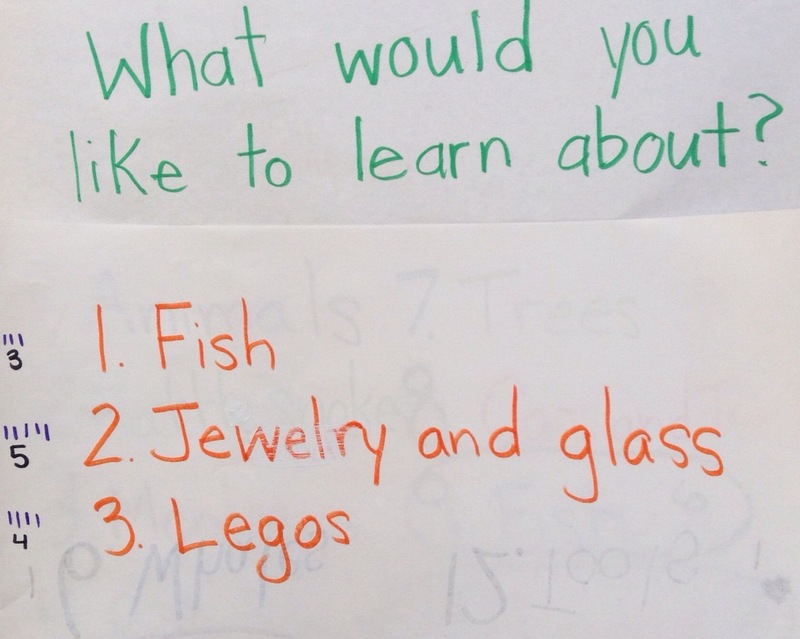 Although it was a close vote, we have chosen jewelry and glass as our next topic! So far, the children have decided that all jewelry is made from glass and that you have to be careful with it because if it falls off a cliff it will break. We are excited to see where this topic will take us! Our play officially has a name! 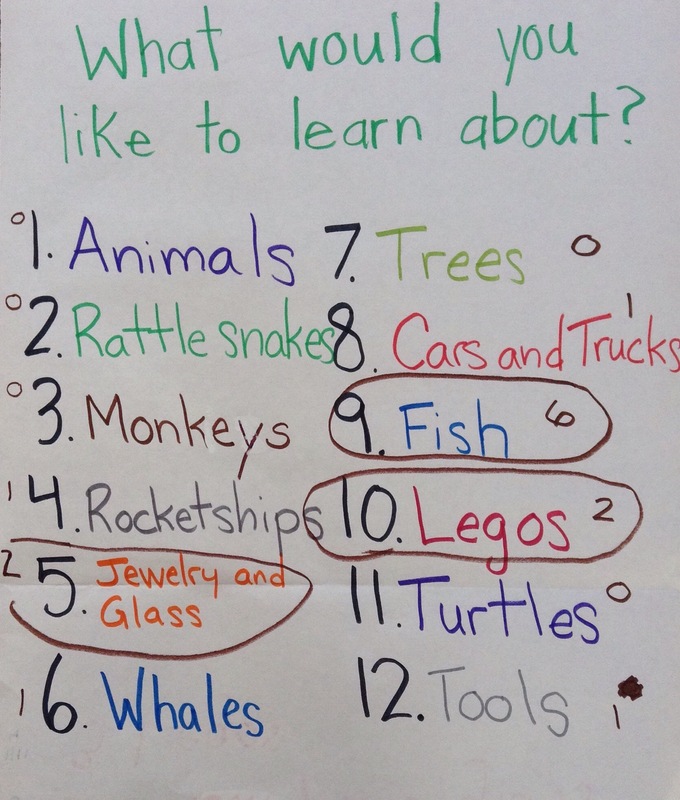 After some brainstorming, and careful consideration, the students unanimously voted for…”What do toys do at night?”. Now that we have settled on a name, it’s time to get working on our costumes and set. The fun is just beginning! Introducing a new generation of voters! A new skill that we have recently introduced is poll-taking. Technically, we have been using polls since the beginning of the year on our morning message. However, this time, the students were in-charge of reading the question and collecting the data! 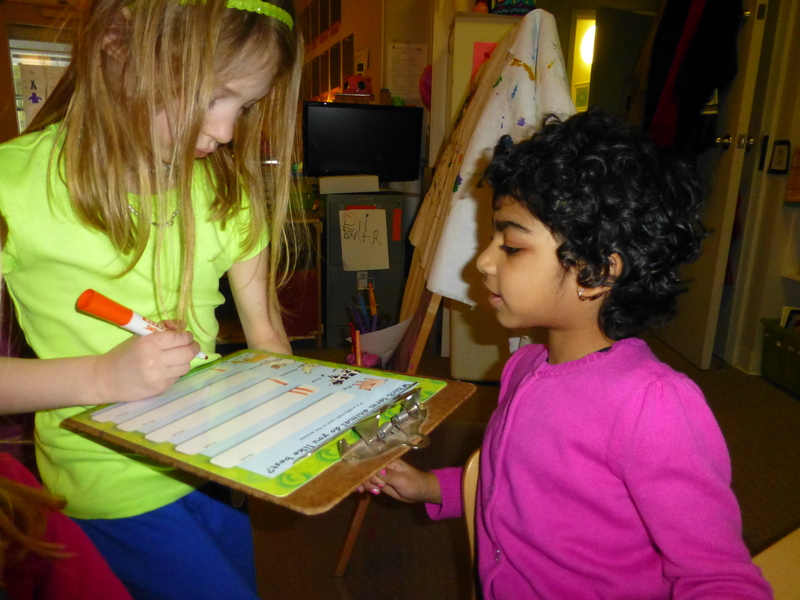 We discussed why we use polls, how to mark each vote, and how to read the results. First, we used polls that were already designed with a question and a space to record answers. 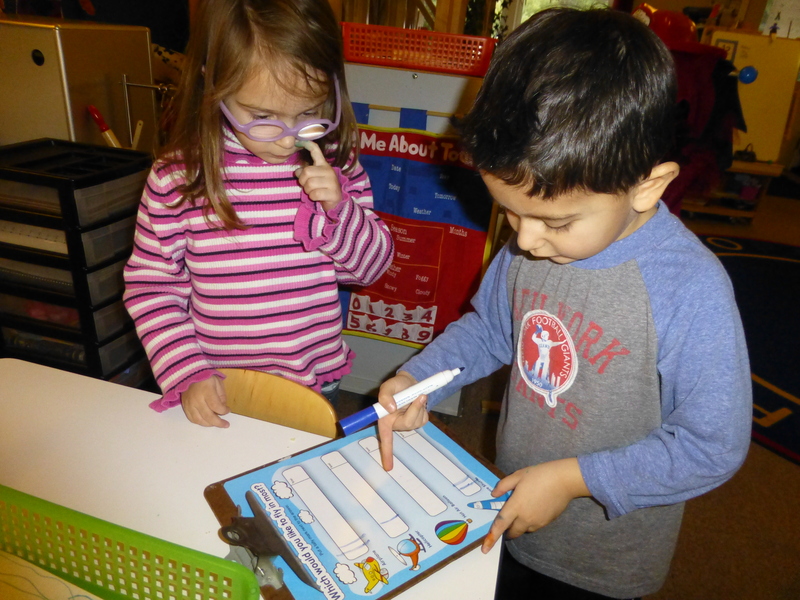 The children chose which question they wanted to ask, and then walked around the room polling each member of our class. After everyone was finished, we discussed which category had the most, least, and middle amount of votes. Once they understood the main components of a poll, we were able to move on to creating a poll from scratch. Would they want their poll to be a “yes or no” or multiple choice question? Would they use tally marks or color in the square for each vote? Each child was given a blank grid and instructed to write down all the components of their question. When their poll was finally completed, it was time to vote! In the poll below, this child asked her classmates if they liked milk, juice, or chocolate milk the best. 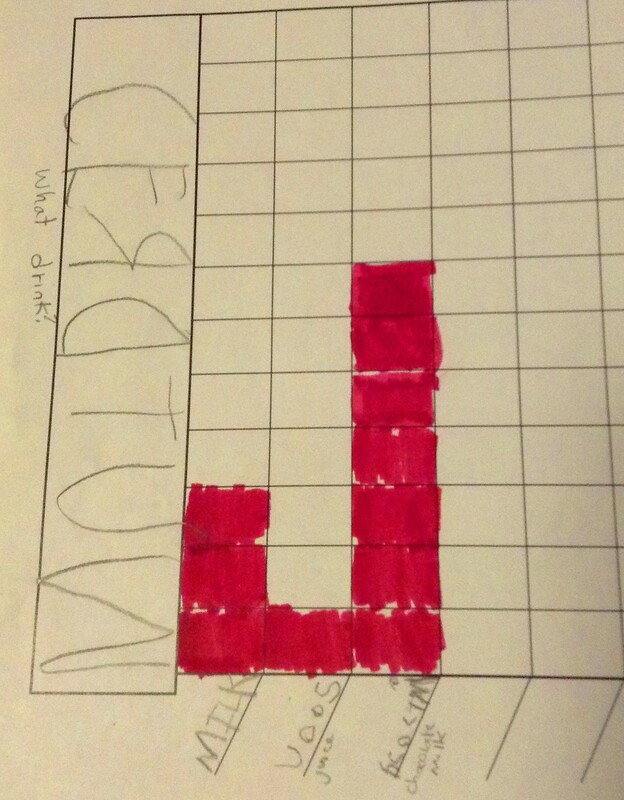 This activity helps students practice their math skills including graphing, data collection, and reading the results of a graph. The students also practiced sounding out words, using their “kid writing”, and using perspective taking. During this age, children can have difficulty understanding that other people may feel differently than they do. The child taking the poll might really like juice the best, and may be surprised when more people vote for milk. Taking polls can show children that it is okay for people to feel differently about various topics.